This is a photo of the Triple Moon symbol )O( , the three moons symbolise the cycle of the moon and represent the Goddess or Mother. 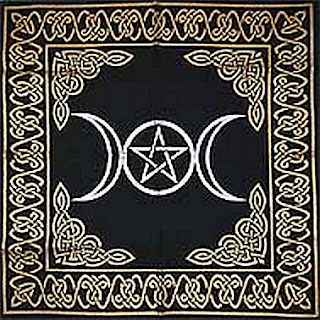 Within the central moon is a pentagram (a star encased in a circle) the five points of the pentagram represent the spirit (the top-most point) and the four elements. The circle means containment and protection. 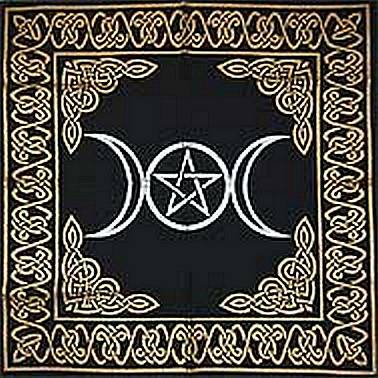 They are very important symbols in Wiccan and Pagan beliefs. I decided I wanted to give my manicure an aged, tarnished feeling so I used two coats of Barry M Gold Foil to create this brushed metal effect. This polish applies super easy and is almost opaque in one coat. I then drew a Pentagram and Triple Moon symbol onto my nails using a black nail art pen. I kept this sketchy and not too neat to help keep the antique, old tarnished feel to the manicure. Yes this isn't my best manicure but it is more what it symbolises that is important. 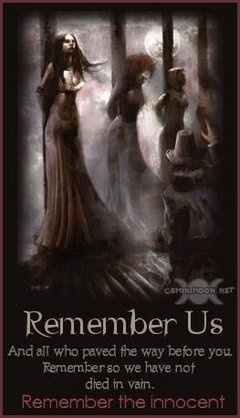 I think with Halloween it is easy to get caught up in the Hype and forget all those that have paid the price. What do you think? It Halloween too commercialised? Very lovely! Suits this time of year perfectly! Love this! Perfect mani for Halloween season. As apagan i just love this manicure and love your idea! never seen this done before.! Really?That's a very well and appreciable writing. Actually,I wanted best double glazing deals for both my home and office decoration. Can you please suggest me an agent who can help me in this?